The food you serve at a funeral is an important part of any service. Families no longer want to mingle over plain old sandwiches. Funeral food has become the main event of some services with loved ones looking for food that wows as they celebrate the life of their loved one. It goes without saying that food is important. Not only is it necessary to survive, but it is something that brings people together. Sharing a meal with others is one of the greatest ways to connect, strengthen relationships, and reminisce. Not only does it help us bond with others, food is powerful in so many other ways. Comfort food, for instance, can provide you with a feeling of nostalgia and evoke emotions and memories from your past. Funerals and food have gone hand in hand for many years. As funeral traditions continue to evolve, so too is the type of funeral food being served. 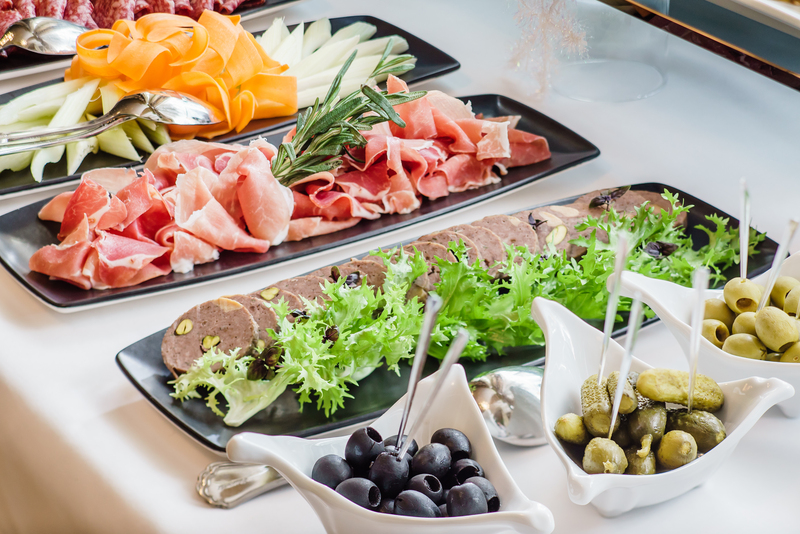 Rather than serving the same old sandwich platter, fruit trays, and baked goods that have been common at funeral receptions for years, families are looking for something new and better. As funerals transition away from traditionally sombre affairs to upbeat and lively celebrations of life, the food being served is reflective of that. Let’s take a look at some of the newest funeral food trends being introduced. Coffee, tea and juice are nice, but they don’t have the same effect when you’re toasting to someone’s life. With families looking to celebrate the life of their loved one, funeral toasts are an important part of the event. To help make this possible for families, funeral homes are now working with caterers and local restaurants to serve alcohol on their behalf. Taking it a step further, some funeral homes are even applying for their own liquor licenses. The sandwich platter just won’t cut it anymore for some families. Much like their desire to celebrate the deceased’s life with alcohol, the level of food needs to be stepped up as well. Families are using caterers to serve everything from light lunch receptions featuring cheese boards and finger foods to sit down dinners with multiple courses. Funeral homes are even renovating their space with dining in mind. Some are adding kitchens, dining areas and even bars. Check out the dining area at Vescio Funeral Home. Tailgating at sports games is a tradition that is practiced by millions of people each year. With some funeral homes not allowed to serve alcohol and some states prohibiting food in the funeral home; families are getting creative. Many are turning to tailgating after the funeral service. This is where guests can take part in a time-honored tradition as they share stories and memories of their loved one over food and drinks. To improve this experience, some funeral homes are now hiring food trucks to park outside of the funeral home for the tailgate. If your family isn’t interested in tailgating after the funeral service, consider an outdoor picnic instead. It’s becoming more popular for families to take the funeral receptions outdoors and hold a barbeque or picnic. After the service has ended, share an outdoor meal with loved ones and guests at a place that was special to your loved one. Places like parks, the beach or even your backyard are a great place to gather and celebrate their life. Everywhere you look, it seems like a new Starbucks is opening up. They’re even entering funeral homes. 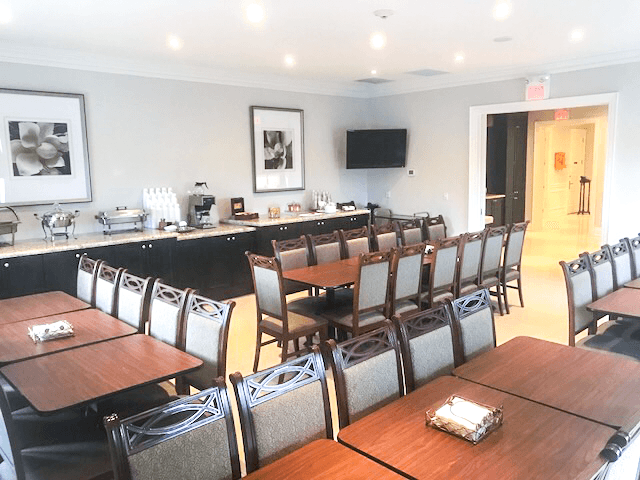 This South Carolina funeral home has evolved and opened a Starbucks franchise inside their facilities. Mourners can now retreat to a quiet place to grab a coffee or snack away from the reception area. The café is also open to the public with an outside entrance for anyone to walk in and buy a beverage. Have you been to a funeral service that had one of the trends mentioned above? Do you have any cool stories about funeral food to share? Please let us know in the comment section below! This entry was posted in Funeral Advice, Funeral Planning Resources, Industry News on February 8th, 2018 by ObitTree .